After all, the best action is the one that produces the greatest well-being for the greatest number of people as rightly captured in Jeremy Bentham’s theory on the good of the greater majority, whose theory was later expandedby John Stuart Mill. Similarly, in finding a balance betweenJean-Jacques Rousseau’s theory of general will and John Locke’s postulation on group interest, I would have thought that political participation (including but not limited to voting or supporting a candidate in elections) should not be aboutprotecting of self-interest alone but the interest of the majority of the citizens or the members of a group, who will benefit from the outcome of such election, in this case, the NBA members. It is with the above philosophical premise that I commence my inquiry into the causative underpinnings behind the perennialtantrums and narcissistic conniptions from the camp of Carol Ajie (the self-styled Dame of the Bar) against the NBA President. To be fair to her, before now, I had thought of CarolAjie as one who puts the interest of the Bar above her personal interest. Please, do not blame me for holding that initial impression. Perhaps I was misled by her ostentatious projection of herself as the great fighter, the amazon, promoter of women’s rights, and the defender of the defenseless. Alas, my impression of her later fizzled out when I decided to dig further into her person. She is indeed a great fighter as she is known to have fought almost all the previous NBA Presidents who refused to accommodate her over-bloated self-interest. To be sure, it is reported that Carol Ajie fought, Austin Alegeh SAN. She fought Okey Wali SAN. She equally fought Chief Wole Olanipekun SAN’s leadership. Carol Ajie also waged a consistent battle against OCJ Okocha SAN during the latter’s time as the NBA President. One common denominator in all her fights so far, is the need to promote her self-interest. 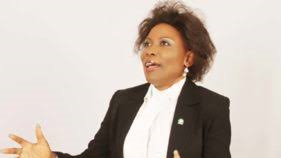 As evident from the torrent of her posts on social media and from what is now clear to us, Carol Ajie’s grouse against the current NBA leadership is that she supported Mr Paul Usoro SAN to become the NBA President and her support is yet to be “rewarded” with the commensurate juicy position. She had wanted to be nominated to the National Judicial Council – such a hallowed Institution – but her dream was dashed when the NBA President nominated her to the Board of National Human Right Commission (NHRC). I presume that the NBA Presidentwould have thought and rightly so, that nominating Carol Ajie to such a vital institution as NHRC is like putting the round peg in the round hole given her acclaimed stance on human right issues. I should also presume that being in the Board of NHRCwould have provided Carol Ajie a platform to advance her human right activism. But Carol Ajie would not accept the nomination to the Board of NHRC (because it wasn’t juicy enough) and this is notwithstanding her self-acclaimed exploits in propagation of gender rights. She also claimed that she was promised a place in the Body of Benchers and the International Bar Association Council except that we do not know whether these alleged promises were made orally or in writing as no evidence of such promises has been shown to us. One thing is certain – Mr Usoro never promised Carol Ajie any appointment in exchange for her support. Of course, as it is now clear to us, Carol Ajie suo motu, nominated herself into the Council of International Bar Association even without the knowledge and consent of the NBA President. How do you explain such a desperation? In my view, such action amounts to a misconductgiven that the NBA President never authorized the said nomination. Ordinarily, one would be tempted to dismiss Carol’s song of sorrow on social media as antics and chants of adisgruntled self-serving supporter but considering the dimension such mudslinging has taken, it is imperative that we pause and ponder over the wider implication of such rants on the image of the Bar. It is also pertinent at this point that we interrogate her motives and expose her shenanigans. By way of a caveat, I am not a serving or past executive member of NBA and do not have the authority of the Association to speak on its behalf. I equally do not hold brief for the current NBA President. My intervention is strictly based on the fact of my membership of the Association (which indeed gives me the locus to comment) and buoyed by my desire for issue-based and constructive criticism of any given NBA leadership including the present administration. Methinks, the cacophony of disgruntled and self-serving purveyors of self-interest-discordant-tunes under the guise of activism should not be allowed to drown the voice of constructive critics who genuinely want good leadership in the Bar. The point I make is that if we allow the likes of Carol Ajie to pollute the NBA’s atmosphere with such acerbic and self-centered message of hate, we may in the process become deaf to or even mistake the voice of reason required to keep the Bar moving forward. And trust me, the tendency to accord Carol’s discordant voice with legitimacy always stares in the face which explains why we must all rise and call spade a spade. She must be reminded that she is an embodiment of self-contradictions and that her narratives cannot be believed. You cannot claim to have supported the NBA President due to his unparalleled competence, skills and sterling character and then turn around few weeks after the election to accuse the same man of being incompetent and unfit for the office. This is a classic case of a party approbating and reprobating. The law and lawyers have no respect for a witness who offers inconsistent evidence about an event and this is whom Carol Ajie has become. We must reject her inconsistent narratives. Indeed, every man and woman of good conscience should be troubled by Carol’s conceited venture which is fueled by bitterness and egomaniacal motives but disguised as a message of liberation. Those who are discerning should be able to ask Carol Ajie these critical questions; Ma’am, would your positionabout the NBA President be different if he had nominated you to the NJC and Body of Benchers? Would you have turned against him if you were allowed to nominate yourself into the IBA Council? Why do you block any person whose comments on your social media platforms are not supportive of your narratives? – And you still go about denying that you delete and block people that reveal the truth in response to your lies on social media. Is it not true that you were recommended as the NBA representative on the board of NHRC because of your advertised human rights activism, but you rejected same on the basis that it may take some time before the Board of NHRC is inaugurated and that you may only accept to represent NBA at the NHRC as a bonus to your appointments at NJC and IBA? Why have you refused to disclose to the public that your additional reason for rejecting the NHRC nomination wasbecause they pay a paltry sum of N100,000.00 (One Hundred Thousand Naira only) for sitting allowance? Is it not true that you have prepared a Suit which you have refused to file even after sending a draft to the NBA President, only to use it as ablackmail tool and to force the NBA President to do your bidding? Whose interest are you projecting, as it is now clear that it is not that of NBA? Who are your faceless sponsors and backers? Incidentally the Assistant Publicity Secretary of the NBA, Akorede Habeeb, recently issued a statement describing Carol Ajie’s allegations against the NBA President as false andmotivated by self-interest. Despite this revelation, Carol Ajie has remained undeterred and has continued to spill more hogwash and falsehood on each passing day all aimed at blackmailing the NBA President to do her bidding. The most interesting thing in all this is that the NBA President that I know is not a man to be blackmailed into going against what he believes is in the interest of the Bar. He is made of sterner stuff and he is not the one to be distracted by Carol’s blackmail. Mr Usoro is too focused on delivering on his NBA reformation agenda and has totally ignored Carol Ajie’s rantings as they are of no consequence.Borrowing from Michelle Obama’s line, when Carol goes low, Mr President goes high. And we can see this in the recent achievements and transformation recorded within a short period of his assumption of office of NBA President. The transparency and accountability promised in Mr Usoro SAN’s manifesto is not a mere campaign rhetoric. It is gradually becoming evident and even the blind can see that it is no more business as usual. Whilst I must acknowledge the right accorded to every citizen by the Constitution to express his or her views without restraint particularly on issues concerning the public, I must however, note that this right is not without some exceptions. For one, the right does not confer on the holder the license to publish false allegations against the person of another and in this case, against no less a person than the President of the largest professional association in Africa. Neither does the right permits the use of blackmail and subtle threat to actualize one’s selfish motive. Section 39 of the Constitution of the Federal Republic of Nigeria, 1999 (as amended) which provides for the freedom of expression, aside from the intra-section exceptions provided therein also has derogations under Section 45 of the same Constitution. Thus, nothing in section 39 of the Constitution shall invalidate any law that is reasonably justifiable in a democratic society in the interest of public order or for the purpose of protecting the rights and freedom of other persons. This explains why laws such as the Cybercrime (Prohibition,Prevention, etc) Act, 2015 were enacted to checkmate the infringement of rights of others within the social media space. From the above provision, there is no doubt that the spread of false information or fake news using the social media, under whatever guise, is a crime in Nigeria. There are also civil remedies available to the victims of such injurious falsehood. The aim of this law is to instill circumspection and responsibility on the part of those disseminating information within the social media and it is never a defence that a purveyor of such false information disguises herself or himself as human right or gender activist. Whilst the NBA owes its members a duty to push back on Carol Ajie’s misinformation by coming out with rejoinders whennecessary, we as members also need to be more discerning given what is now clear to us as her motive behind her recent summersault and social media war. Beyond the afore-noted underlying criminality that is lurking around Carol Ajie’s social media false information and the disaffections such smear campaigns generate within the Bar community, there is also another bigger issue of misleading the public particularly members of the NBA on major policy issues. Carol Ajie has made several unsubstantiated allegations against the NBA President some of which cannot be dignified with a response. One of such allegations which I found quite bizarre is the part that accuses Mr Usoro of marginalizing the Igbos. Sadly, someundiscerning members of the Bar (whom we are equally not sure of their own motives) often fall for Carol Ajie’s false narratives, hook, line and sinker without taking steps to verify the credibility of same. One of the recent victims of such misinformation is the immediate past 2nd Vice President of the NBA, Mr Monday Onyekachi Ubani. In one of her posts on Facebook, on 17 November, 2018 Carol Ajie had amongst other falsehoods, barefacedly accused the NBA President of marginalizing the Igbos. Rather than take such information with a pinch of salt knowing the antecedents of the maker, Mr Ubani, in his comment, (in an apparent endorsement of Carol Ajie’smischievous post), was reported to have stated that: “Marginalizing the Igbos is a serious allegation. Mr President, Paul Usoro should examine his conscience, history is there to judge all. Thanks Carol for speaking truth out as always irrespective of whose ox is gored.” With all due respect, this is an infantile response and I am quite disappointed that this sort of response could come from a man of Ubani’s status. Did Mr Ubani care to cross-check the veracity of Carol Ajie’s baseless allegation of marginalization of Igbos? Has the NBA Presidentmarginalized the Igbos in his appointments or at all? As a matter of fact when all the list of all nominations made by the NBA President to all the statutory bodies is out, it will be obvious to all that regional representation was taken into consideration and a number of Igbo names are on the list. If Mr Usoro did not marginalize and has not marginalized the Igbos in his private practice, is it now that he will turn against them? During the 2015/2016 Election Petitions which yours truly was activelyinvolved in, from the Election Tribunals up to the Supreme Court, Mr Usoro in his magnanimity, invited two of his Igbo friends who are lawyers and who have their independent practices to join him in the Akwa Ibom Governorship Election Petition even though they were not in the defense team. As someone who has worked closely with the NBA President, I also owe the public a duty to intervene on this particular issue of marginalization of Igbos. I have known Mr Usoro SAN since 2014 and I can tell you without fear of contradictions that he is one of the most detribalized Nigerians I have met. Mr Usoro is not interested in where you come from but your competence and ability to do the work. In Paul Usoro & Co where he is a Senior Partner, it is an equal opportunity Law Firm and as rightly captured by a commentator (whose view, I agree entirely with, being an insider in the Firm), “you don’t have to bring a letter from a politician or a Judge to be employed in the Firm”. You also don’t have to come from Akwa Ibom or Cross River to be employed and the number of non-Akwa Ibom lawyers in Paul Usoro & Co attests to this. Presently, in Paul Usoro & Co, there are more Igbo lawyers than Akwa Ibom Lawyers and even the Uyo branch of the Firm is headed by an Igbo lawyer. Taking it further, Paul Usoro is also not interested in your religious inclination. 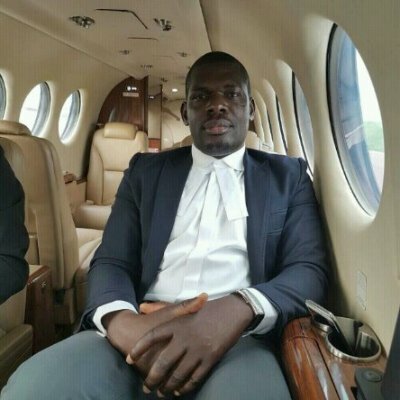 The Litigation Partner, Mr Munirudeen Liadi, who coordinates the Advocacy and Dispute Resolution practice Group of the Firm is a Yoruba man and a devout Muslim. The Firm is equally gender-balanced. I for one, got to Paul Usoro & Co without any recommendation from anybody. It was strictly my CV and the Firm’s open door policy that got me there. In some top law Firms in Nigeria, even with the best CV, you will still be required to bring a recommendation from one highly placed individual or politician. That is not Paul Usoro’s approach as he is willing to give you opportunity to prove your mettle provided you satisfy the minimum hiring requirement of the Firm. Thus, when the likes of Carol Ajie mouths about marginalization of Igbos and no least a person than Monday Ubani jumps at that falsehood, one is constrained to ask whether there is any mischievous agenda between the duo. Carol Ajie should realize that her collaborators are exploiting her state of mind for their personal fights. And please be reminded that so far, there is no AkwaCross lawyer on the list of Usoro’s nominations to the NBA. Within the NBA, Mr Usoro’s appointments so far have been balanced and Igbos have not been left out. It is a known fact that one of the earliest appointments made by the current NBA President was that of Professor Joy Ngozi Ezeilo who was appointed to represent NBA on the EU-Nigeria-UNODC-CTED Partnership Project III on Strengthening Criminal Justice Responses to Terrorism and Violent Extremism funded by the European Union. I therefore enjoin discerning members of the Bar to ignore Carol Ajie’s narcissistic melodrama and instead key into Paul Usoro’s vision for the Bar. I am confident that one Million Carol Ajie cannot stop an idea whose time has come. To be sure, Mr Usoro just like several other successful lawyers did not get to where he is on account of NBA appointments. In point of fact, his campaign promises were inter alia, anchored on professional self-development and upgrade of service delivery amongst lawyers so that Nigerian lawyers can be equipped to service the Nigerian economy, face the 21st century challengesand not to live off the NBA. 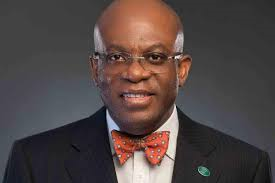 Paul Usoro’s vision for a great and transparent NBA is on course and no amount of blackmail and self-serving campaign of calumny can derail it. Paul Usoro will always Put You First. Prince is an associate at Paul Usoro & Co. 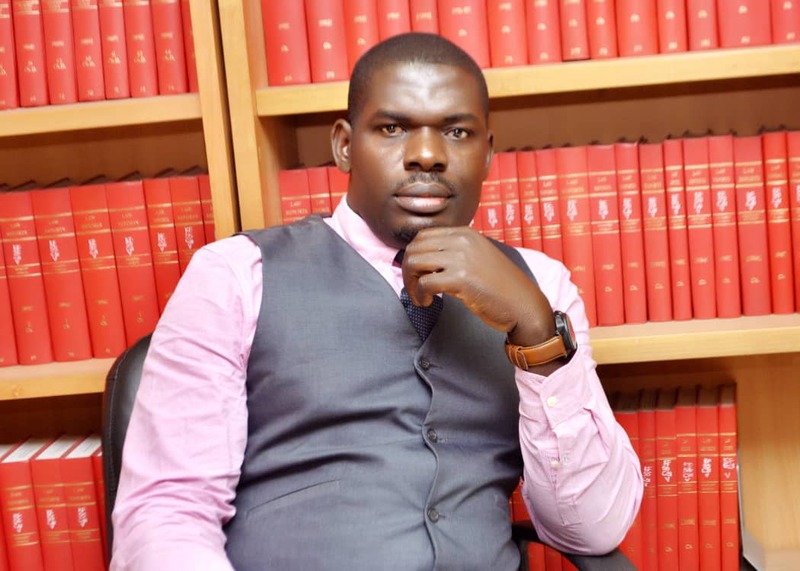 Since joining the firm, he has worked in various complex matters with particular focus on Energy and Environment, Maritime, Banking, Solid Minerals, Election Petitions, white-collar crime and Communications.